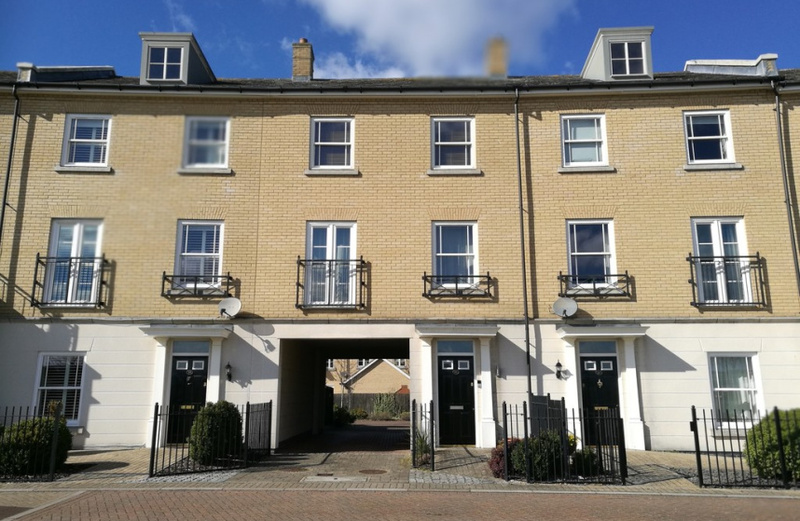 A very desirable modern, 3 storey TOWN HOUSE attractively situated overlooking a green on the popular and sought after Ravenswood development to the South-East of Ipswich town centre. 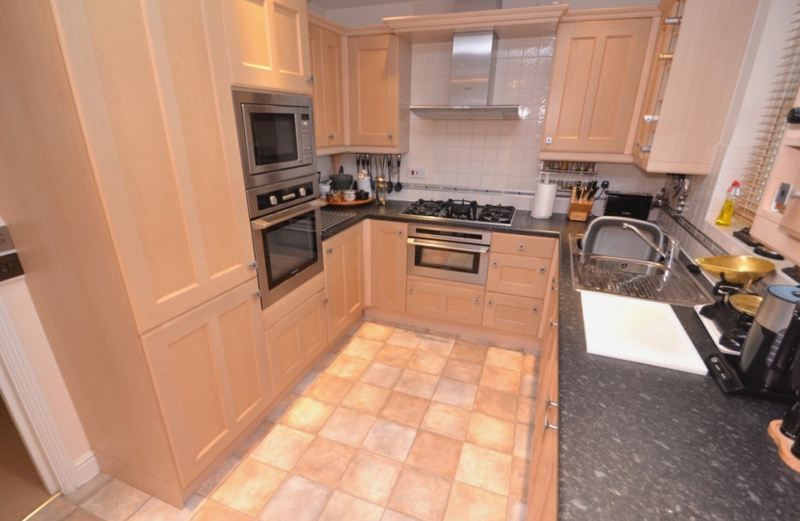 The property provides deceptively spacious accommodation and is presented in immaculate decorative order throughout. 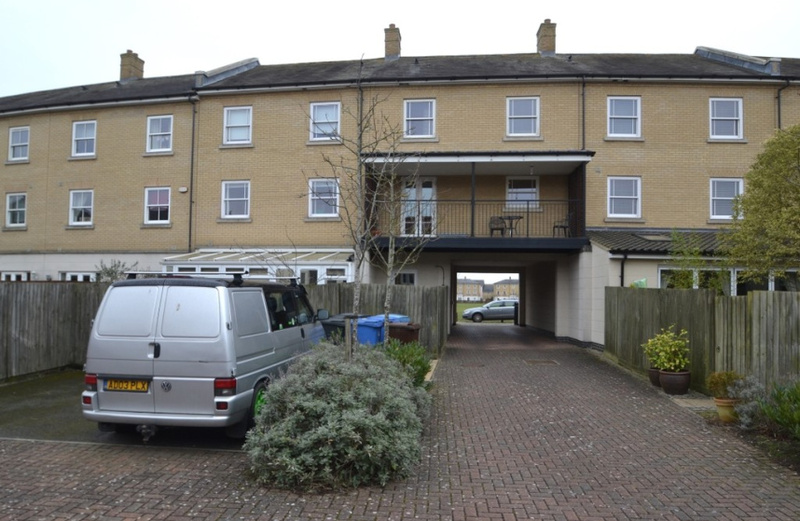 The Ravenswood development provides excellent access to the main A12/A14 and is well catered for by a shopping centre and restaurants. 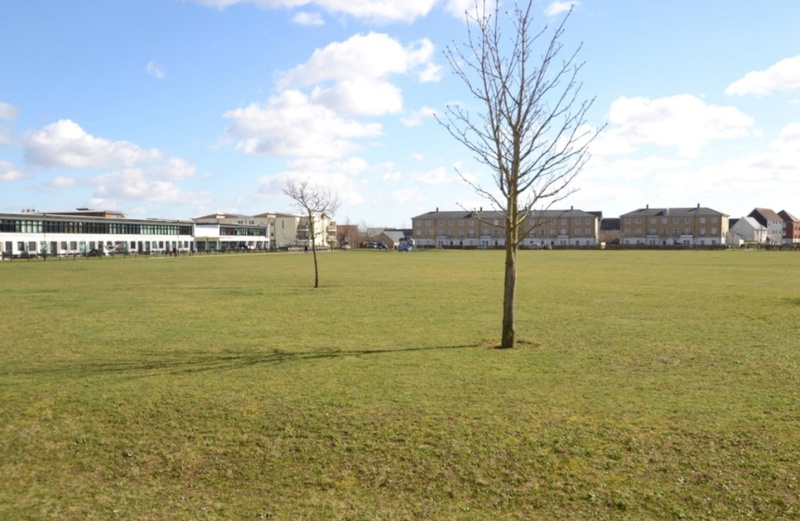 There is also a primary school, public house and a selection of recreation areas. In addition, Gainsborough Sports Centre is nearby and Orwell Country park on the banks of the River Orwell is only a few minutes walk away. There are also frequent bus links into Ipswich town centre. 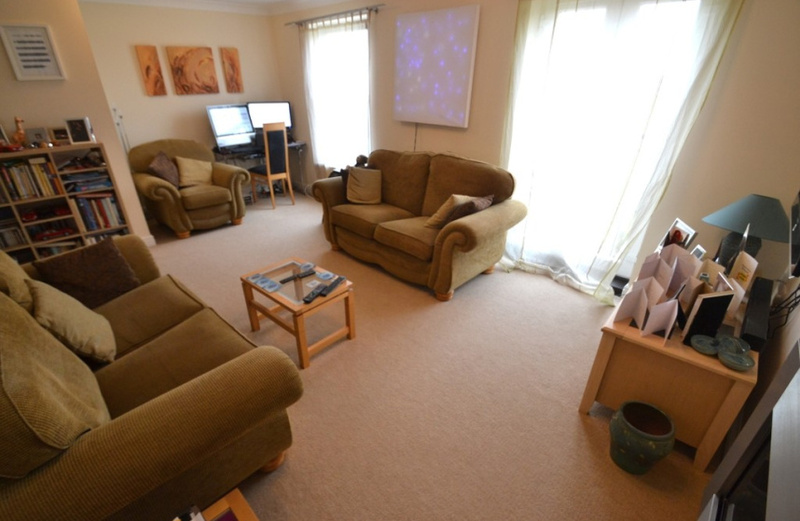 the house has a good sized living room on the first floor with lovely views over the green, an excellent fitted kitchen/dining room with access to a large balcony, a cloakroom and utility on the ground floor and 2 good sized double bedrooms each with a spacious en-suite shower/bathroom. To the rear is a garage and an additional allocated parking space. The windows and doors are all double glazed and there is gas fired central heating. 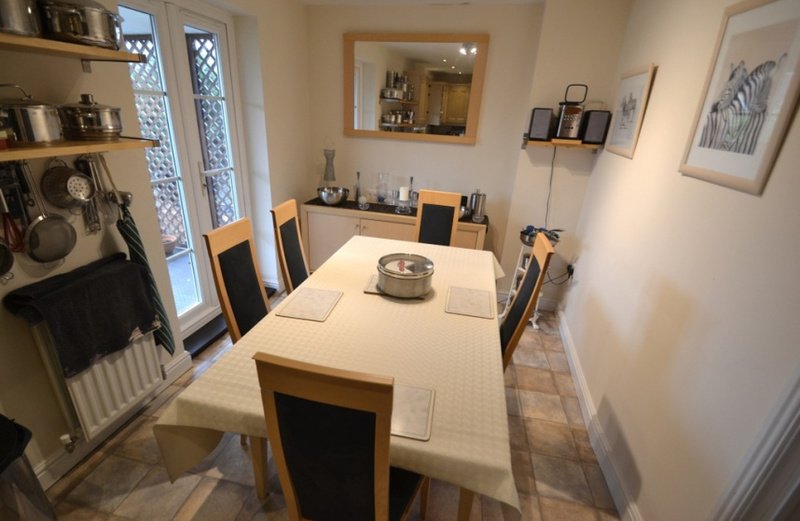 We strongly recommend an internal inspection to fully appreciate all that is on offer from this lovely property which is ideal for a single person or couple or 2 friends wishing to share. ENTRANCE HALL Double radiator. Fitted carpet. Double glazed sliding sash windows to side with venetian blinds. Built-in storage cupboard under stairs. Coved ceiling. Thermostat control. 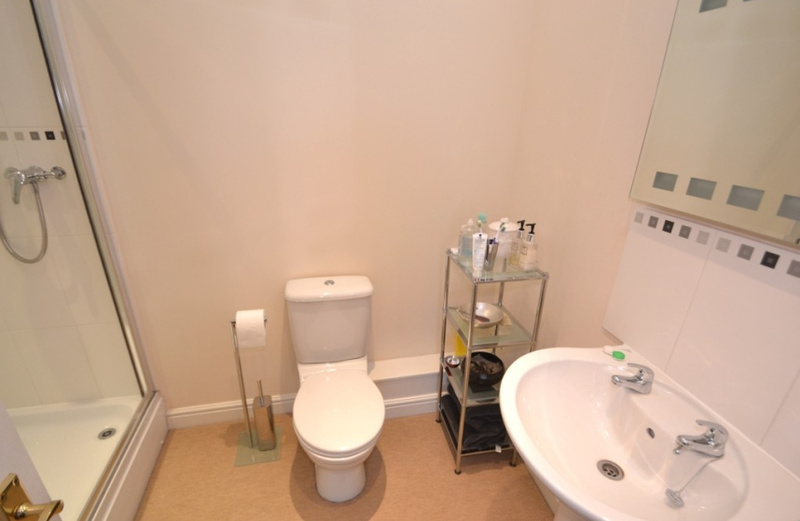 CLOAKROOM with white suite of pedestal wash basin (h & c) with tiled splashback and low level WC. Radiator. Extractor fan. Fitted carpet. UTILITY ROOM 6' 6" x 6' 3" (1.98m x 1.91m) Single drainer stainless steel sink unit (h & c mixer tap) with tiled splashback and cupboard, wine rack and shelving below. "Bosch" automatic washing machine. Radiator. Double glazed door to rear garden. Consumer unit. Vinyl flooring. LANDING Radiator. 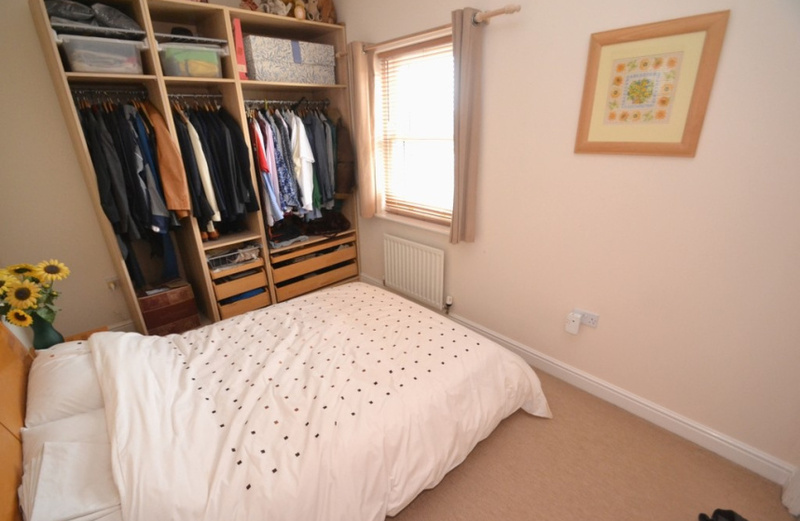 Built-in storage cupboard under stairs to Second Floor. SITTING ROOM 15' 4" x 12' 11" (4.67m x 3.94m) Fitted living flame gas fire. Single and double radiator. Fitted carpet. Coved ceiling. UPVC double glazed double casement doors to front with Romeo & Juliet balcony and sliding sash double glazed window overlooking central green. KITCHEN/DINER 20' 1" x 8' 4" (6.12m x 2.54m) 1.1/2 bowl single drainer inset stainless steel sink unit (h & c mixer tap) with range of fitted shaker style light wood effect units comprising base cupboards and drawers with postformed worktops and tiled splashbacks. Matching eye level wall cupboards and wine rack with "De Dietrich" stainless steel built-in oven with 5 ring "Neff" gas hob unit and chimney style stainless steel extractor and light unit over. Integrated "Bosch" automatic dishwasher. "Smeg" integrated frost-free. "Neff" built-in microwave and additional "De Dietrich" oven. Recessed LED lighting. Vinyl flooring. Double radiator. Double glazed sliding sash window to rear with vertical blinds. Nest of 6 spotlights. Double glazed double casement doors opening to large BALCONY 20'6" x 6'2" with wrought iron balustrading and latticed wood panels at either end. 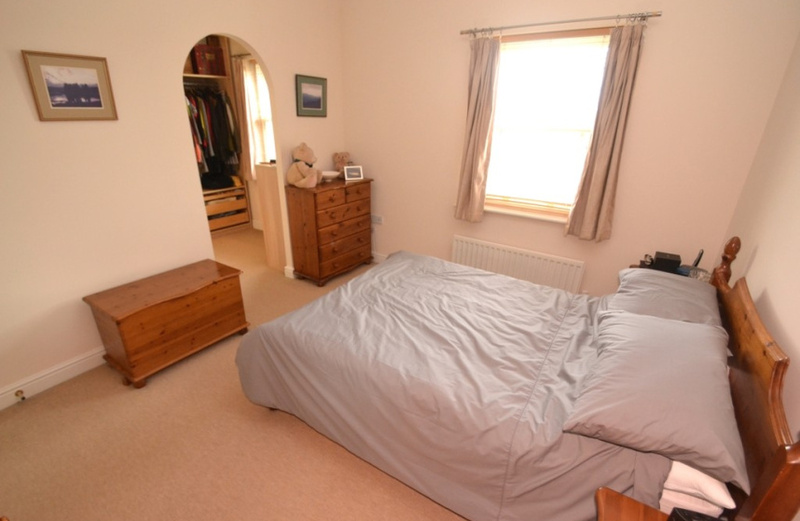 Good sized LANDING with pull down ladder providing access to loft. Radiator. Built-in cupboard housing "Powermax HE" gas fired combi boiler for central heating and hot water with slatted shelving. Spacious built-in store cupboard. BEDROOM 1 12' 4" x 10' 10" (3.76m x 3.3m) Radiator. Fitted carpet. Double glazed sash style window with venetian blind to front overlooking the central green. Arched opening through to DRESSING ROOM 6' extending to 8'4" x 7'10"
EN-SUITE SHOWER ROOM 8' 2" x 6' 3" (2.49m x 1.91m) White suite of pedestal wash basin (h & c) with tiled splashback and mirror with light over, low level WC and wide fully tiled shower enclosure with thermostatic fitted shower. Illuminated mirror and corner unit. Recessed halogen lighting. Radiator. Extractor. Fitted carpet. BEDROOM 2 12' 10" x 8' 6" (3.91m x 2.59m) Fitted carpet. Double glazed sash style window with venetian blind to rear. 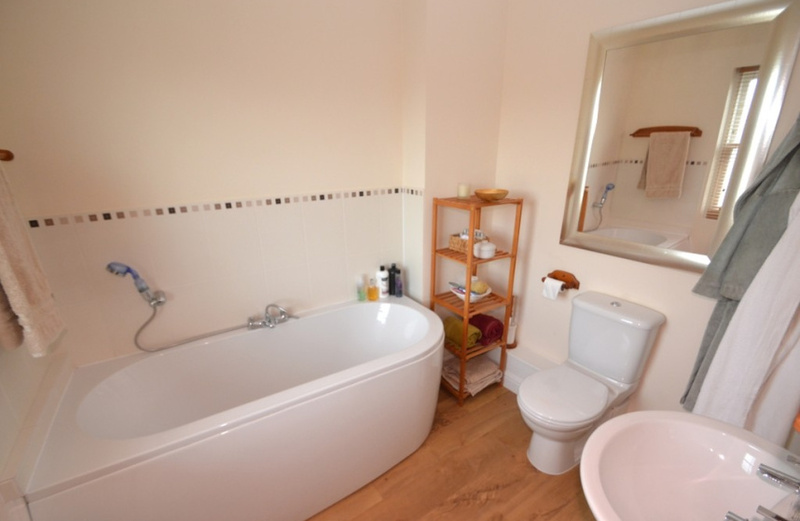 EN-SUITE BATHROOM 6' 11" x 6' 3" (2.11m x 1.91m) White suite of deep panelled bath (h & c mixer tap with shower attachment) with tiled splashback, pedestal wash basin (h & c) with tiled splashback and low level WC. Double radiator. Laminate wood effect flooring. Double glazed sash style window with venetian blind to rear. Recessed halogen lighting. Extractor fan. OUTSIDE Small brick paved front garden with shrub bed and border and wrought iron fencing. Small enclosed block paved rear garden with tap, hose reel, timber storage SHED and gate to parking area at rear. 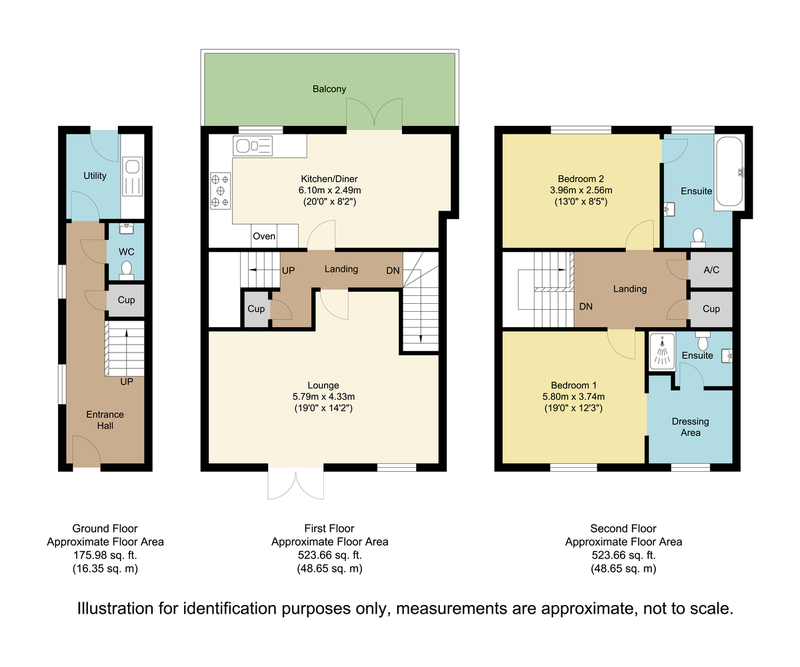 There is a brick paved driveway to the side of the house leading to a landscaped car parking area at the rear where there is an ALLOCATED CAR PARKING SPACE and a GARAGE measuring 17' x 8'7" with up and over door, light and power and further space to park in front. SERVICES All mains services are available and connected to the property. NOTE The internal doors are white 6 panelled colonist style doors with brass furniture. DIRECTIONS On entering Ravenswood development go straight over the roundabout into Ravenswood Avenue. Then take the 2nd turning on the right into Pashford Place (opposite the primary school) and turn left into Bonny Crescent. No.16 is on the left approx. 50 yards before the end of the road.